Oh yes, you've heard it right! We just acquired a new pet at home and we named him Alonzo Nicolo. 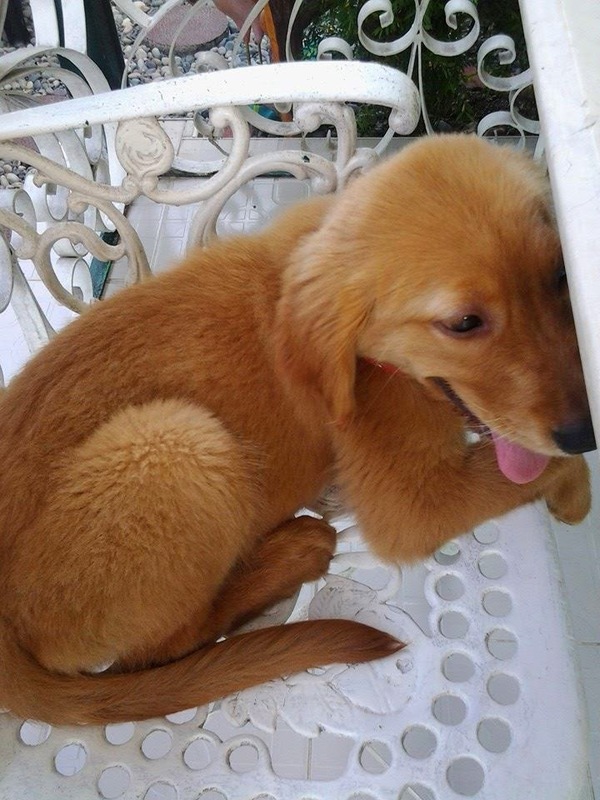 He is a pure breed Golden Retriever and we've purchased him form a dog breeder in our city. 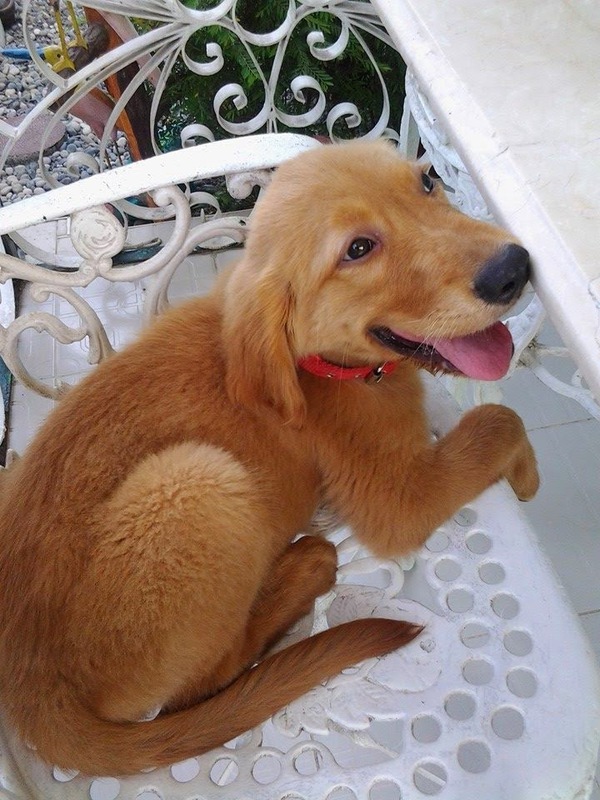 We actually saw the ads on FB and since my son's ultimate dream is to own a Golden Retriever, he persuaded me to buy Alonzo, but of course since this dog is a pure breed, it's also quite expensive so what we have done is to chip in (lol). Hubby, my son and me chip in to complete the amount needed to purchase this Golden Retriever. On the second thought, I think it's also timely for us to own a large breed of dog since our 3 dogs at home are so cute and small, one being a pure breed shih-tzu, the other a cross breed of Shih-tzu and Japanese Spitz and the last one, a native dog but also half breed. I must admit, we need a dog who's big and strong to watch over the house, as we find it not so safe now a days as we've been hearing some theft issues in the neighborhood. I guess, my son was right when he mentioned to me before that Golden Retrievers are so warm and pleasant and they love to get attention every time. My son's love for a Golden Retriever initially started when he was teaching Korea students in an English Academy. The school owner owns a Golden Retriever and this dog usually visits my son's classroom from the back and usually peeps on the window. Alonzo is just 3 months old now but he's already big and heavy. I wonder how would it be when he turns one, maybe he will grow even bigger. As expected, he's doing all those crazy things at home like all puppies do and I would admit that this sometimes irritates me. My kids though always remind me that this "playfullness" of Alonzo will soon vanish as he grows older. Well, I hope that Alonzo will be here to stay as we are beginning to love him despite of his being naughty and playful. Ohh...dogs are really man's best friend!